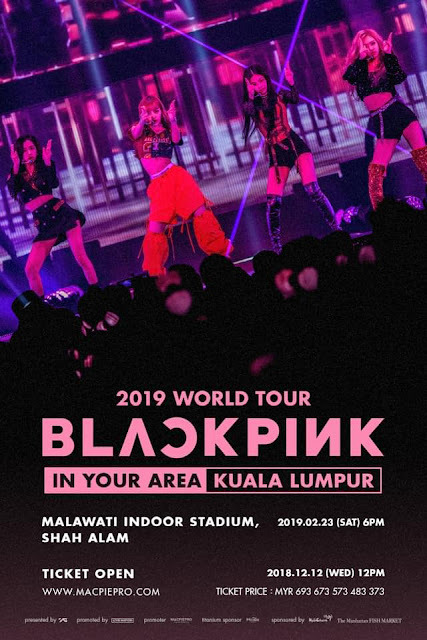 MacpiePro is proud to announce BLACKPINK will be making their way to Kuala Lumpur on 23rd February 2019 for their first solo concert BLACKPINK 2019 WORLD TOUR [IN YOUR AREA], taking place at Malawati Indoor Stadium. Ticket sales will start on 12 December (Wed) at 12PM via MacpiePro official website. 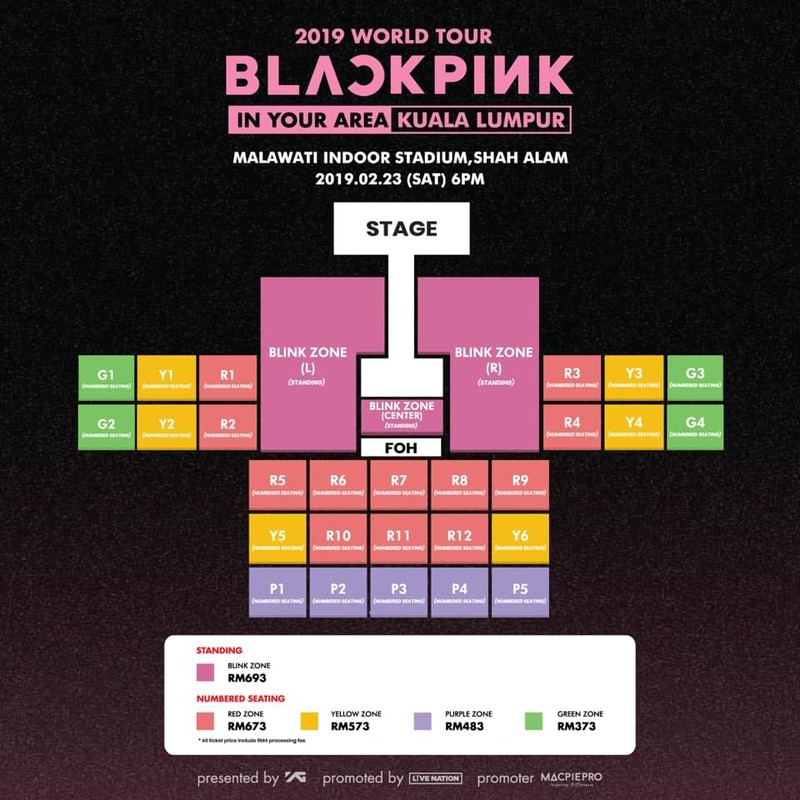 With MacpiePro's corporate mission for Music Fans to embrace the "STRESS-FREE MUSIC" spirit, music fans able to enjoy up to 40% off from the ticket price when they subscibe to Mcalls newly introduced yearly subscription prepared SIM service namely "HITS Package" and redeem concert tickets with 3 hits deal selections. 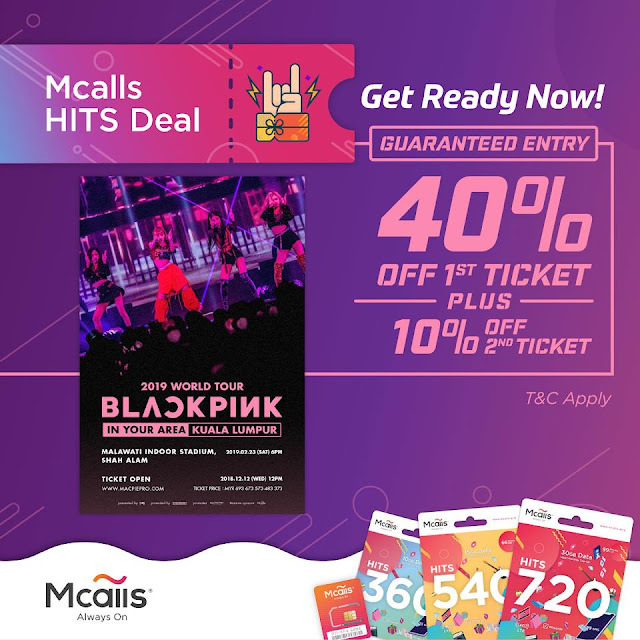 *Mcalls HITS Package comes with yearly subscription plan (12 months) of HITS 360 (RM360), HITS 540 (RM540) and HITS 720 (RM720). HITS Package is available to purchase at Mcalls official website and Digital Lifestyle Store. For more information about Mcalls HITS Package, you may call Mcalls customer service at 03-277882233 (weekdays from 9am to 6pm).